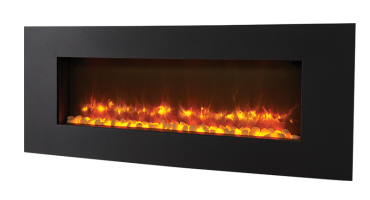 Radiance Inset electric fires are offered in a choice of four sizes, in either hole-in-the-wall or framed options to suit your personal tastes. 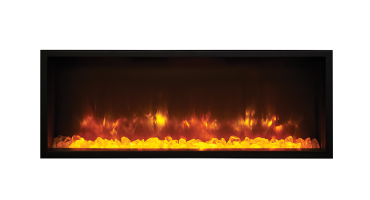 Instantly catching the eye, these breathtaking designer fires will add a stylish warmth wherever they are installed. From the compact Radiance Inset 50R to the expansive 195R, there will be a size to fit your setting whether you’re looking to add style to your study or luxury to your lounge. The Inset can even be fitted into a wallpaper surround, allowing papering to the fire’s edge for seamless integration with your interior styling. All five sizes feature the same variable heat output between 1.0kW and 2.0kW and benefit from convenient thermostatic control.